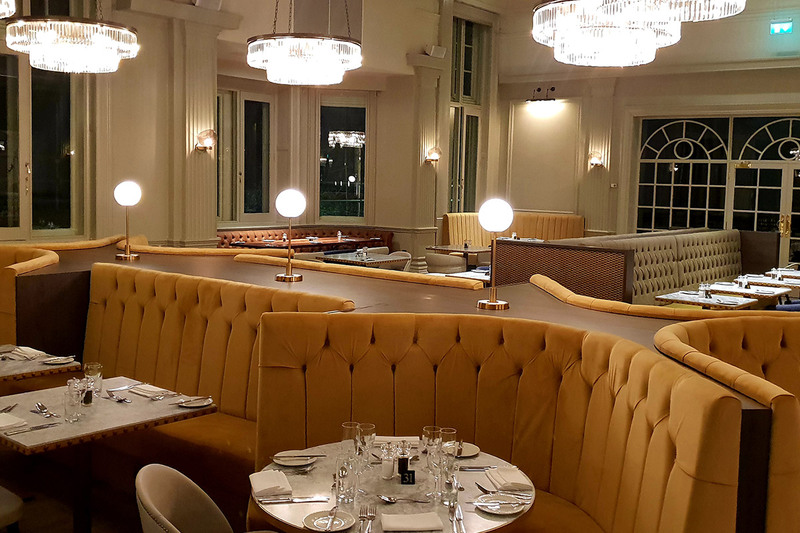 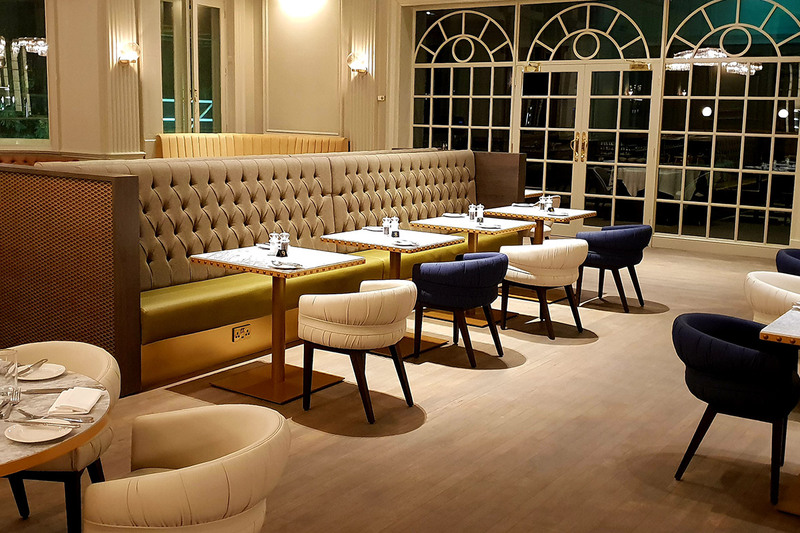 Having previously worked as a contract furniture supplier within the hotel group, we were successful in working with both designer and owner to create new cocktail bar and restaurant, which will be the centre piece of the newly refurbished DoubleTree Majestic in Harrogate.. 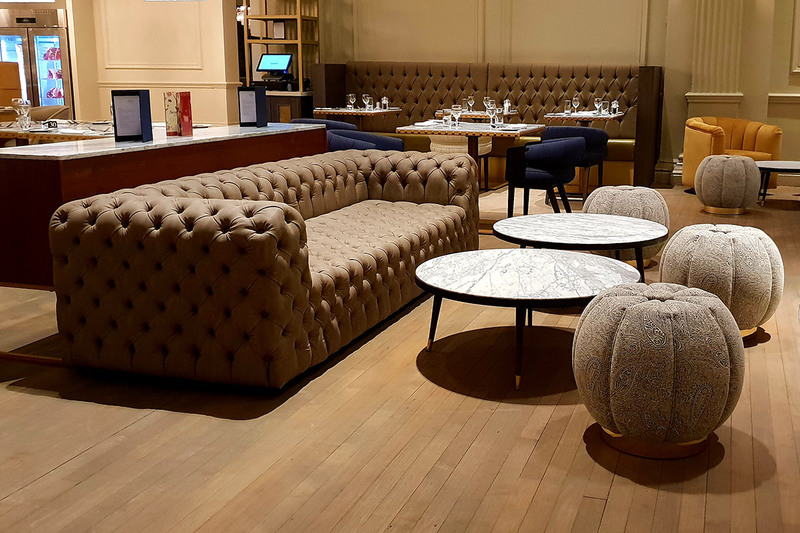 Throughout the project we worked with our Italian furniture suppliers on creating bespoke chairs and, here in the UK, manufacturing bespoke marble tables, fixed seating and other contract furniture items. 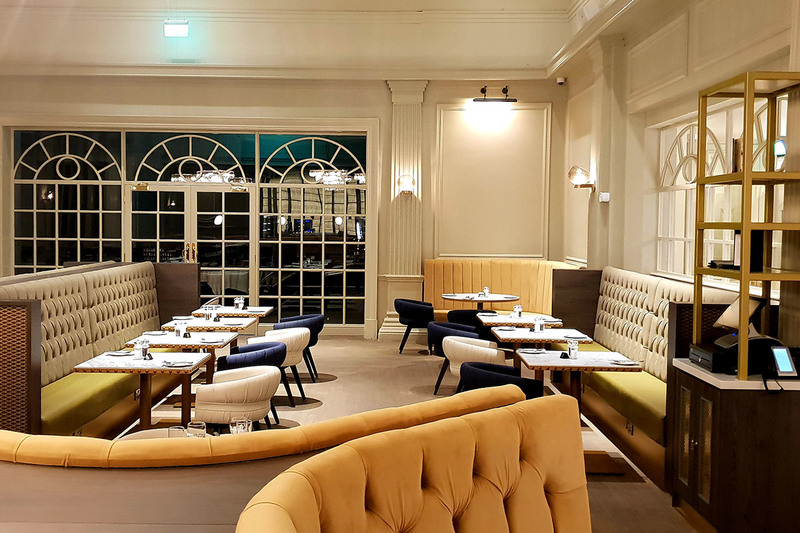 Overall a fantastic result for this fantastic old lady of Harrogate, the Majestic Hotel.